Additional/Updates: Tables & chairs to rent for 40. No alcohol permitted. 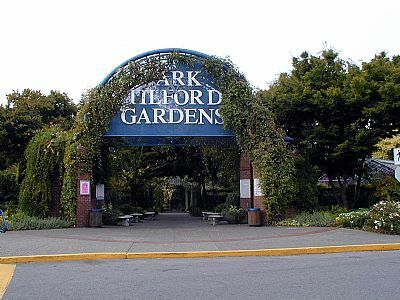 Park & Tilford was created in 1969 by Canadian Park & Tilford Distilleries Ltd. 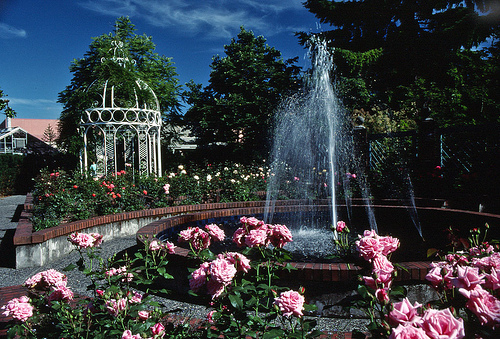 The garden covers 3 acres and offers eight separate theme gardens including the Rose Garden where there are nearly 300 plants, in 24 varieties. 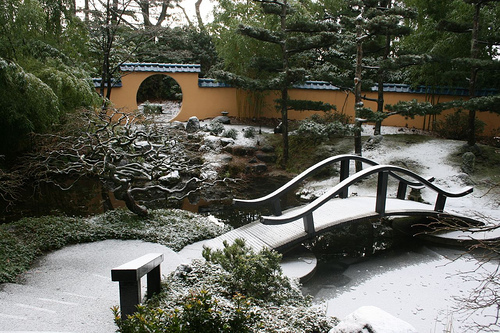 The Oriental Garden, This western interpretation of the traditional Oriental style garden containing maples, pines, and bamboo pruned in the traditional Bonsai style. The White Garden, arrangement of plants with white, grey or green leaves or flowers, under a canopy of spring flowering magnolias. The Rock Pool, Lush, rich vegetation in a variety of textures and shapes and a captivating waterfall. The Native Garden, A winding footpath and wooden bridge surrounded by cedars, hemlock, ferns, rare native azalea and a collection of other indigenous treasures. The Herb Garden, This traditional garden is a favourite of many visitors with its pot pourri of fragrances. 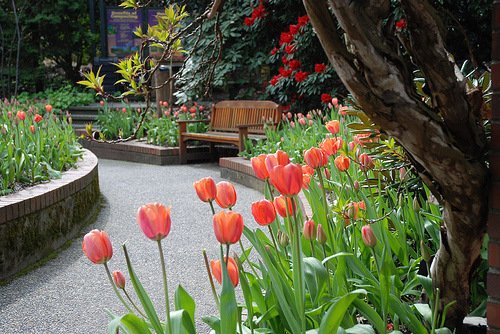 The Display Garden, This transitional garden provides colourful spring flowering bulbs which are replaced with a cascade of colourful annuals that fill the raised beds. The Colonade Garden, This shade garden with large magnolias, rhododendrons, and hosta is accented with a long wooden pergola covered with vines and hanging baskets.